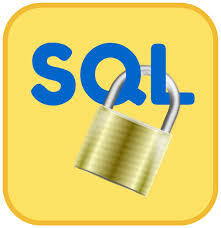 DBLOCK: Use a database lock when reading or modifying data. TABLOCK:Use a table lock when reading or modifying data. ROWLOCK:Use row-level locks when reading or modifying data. PAGLOCK:Use page-level locks when reading or modifying data. UPDLOCK:It reads data without blocking other readers, and update it later with the assurance that the data has not changed since last read. XLOCK:Use exclusive locks instead of shared locks while reading a table, and use hold locks until the end of the statement or transaction. HOLDLOCK:Use a hold lock to hold a lock until completion of the transaction, instead of releasing the lock as soon as the required table, row, or data page is no longer required. NOLOCK:This does not lock any object. This is the default for SELECT operations. It does not apply to INSERT, UPDATE, and DELETE statements.